Throughout June, we'll be celebrating the diverse talent of our graduating students at the UAL summer shows. You can watch the upcoming shows unfold on social media from around the world. Follow and take part using the hashtag #UALsummershows. You can also share the summer shows microsite. Award-winning architecture practice Allies and Morrison has been chosen to design UAL’s new London College of Fashion campus at Queen Elizabeth Olympic Park in Stratford. They’ll be working in conjunction with RIBA Gold Medal winners O’Donnell & Tuomey and other renowned practices. The new campus will include two major research centres focusing on sustainability and innovation in the fashion industry and will bring together London College of Fashion’s 6,500 students and staff for the first time in the College’s 100 year history. IELTS Academic for courses at any level. IELTS Academic for UKVI for courses below degree level. IELTS Academic or IELTS Academic for UKVI for courses at degree level and above. UAL does not accept IELTS General (the UKVI version or the standard version) for courses at any level. You can find a full list of all English language qualifications and tests accepted by UAL on our website. UAL has recently held alumni events in Hong Kong, Shanghai, Russia, LA and New York. Alumni Associations are formal groups which act on behalf of UAL. They have a committee structure with dedicated roles and are headed up by a President, who has overall responsibility for the Association. Find out more about our alumni associations in China (Beijing and Shanghai), East Coast USA, Hong Kong and Korea. Alumni groups are run by alumni who liaise with UAL on behalf of their members. Alumni Groups provide the opportunity to celebrate our graduates’ accomplishments and continue their engagement with each other and with UAL, as well as providing former students with social and professional networking opportunities. Find out more about our alumni groups in Australia, Canada, Colombia, France, Greece, Japan, Pakistan, India, Russia, Spain, Sweden, Taiwan, Turkey and USA West Coast. We’re proud to announce that all four artists shortlisted for this year’s Turner Prize have studied, taught or carried out research at UAL. The four nominees are artists Nicole Wermers, Janice Kerbel, Bonnie Camplin and the collective Assemble; one of whom will join the 12 UAL alumni who have already won the Prize when the winner is announced on 7 December. The shortlist reiterates UAL’s unrivalled reputation in the art world. You can read more about the shortlisted artists on the UAL website. LCF’s Executive MBA (Fashion) is a unique course for fashion professionals. It’s designed for students who want to take an MBA that specialises in the fashion industry. There are many MBAs available, but only one MBA (Fashion). Two students from London College of Fashion's MA Fashion Futures course have been selected as finalists for the Kering Awards. Fiona Fung and Ingrid Rautemberg are among six finalists. The awards are part of a five-year partnership between the Centre for Sustainable Fashion (CSF) at LCF and Kering, a world leader in clothing and accessories. Read more about the partnership on the LCF blog. 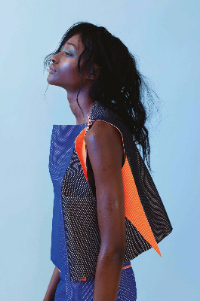 Take a look at the MA Fashion Futures overview for more about this ground-breaking course. 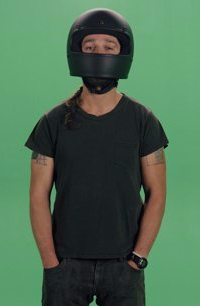 Actor Shia LaBeouf and artists Turner and Rönkkö have collaborated with a group of Central Saint Martins students to produce their latest project, #INTRODUCTIONS. The BA Fine Art students collaborated with the actor to produce a video introducing their degree show work. You can watch coverage of CSM’s Degree Show One Private View on the BA Fine Art microsite and find out more about the shows on the CSM webpage. London College of Fashion BA Catwalk Show and live stream: 8 June, 7pm.